ICT and Inclusion: What about those who are left behind? Are we really embracing ICT for our own benefit and for making this world better? Can we say that technology exists for everyone’s good? Can we really talk about ICT and inclusion? In the 21st Century, we cannot ignore that Information and Communication Technology (ICT) is transforming the way we live, how we communicate with others, how we teach and learn, and the way we work and socialize. In general, ICT has become a dynamic factor that impacts our lives. Now, with this boom of modern technologies and devices, a concern arises: Are we really embracing ICT for our own benefit and to make this world better? Can we say that ICT exists for everyone’s good? Can we really talk about ICT and inclusion? Before giving answers to those questions, let’s see some interesting facts that show us the current status of the Digital Era we are living in and how this growth has correlated with a wider gap between those who have access to ICT and those who do not. 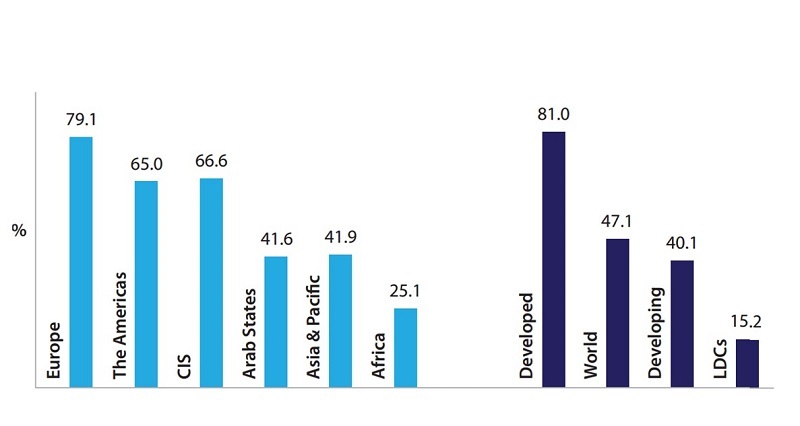 Taking into account the data from 2016 , the International Telecommunication Union (ITU), the United Nations specialized agency for ICT, expresses in a press release that, “3.9 billion people (53%+ of the population) remain cut-off from the vast resources available on the Internet, despite falling prices for ICT services”. In a few words, more than half of the world’s population don’t use the Internet. If something like the Internet, that many of us take for granted, presents that gap, can we imagine the existing gap between developed and Least Developed Countries (LDC)? Let’s look at this to have an idea. Source: ITU – ICT Facts & Figures 2016 document. CIS refers to Commonwealth of Independent States. Economic drawbacks: As we said before, more than 53% of the population are not able to afford ICT, even when the prices are lower. Unfortunately, the lack of economic resources of many communities and countries put them at a disadvantage with respect to access to devices and recent technologies. For them, ICT is basically a luxury they cannot afford. 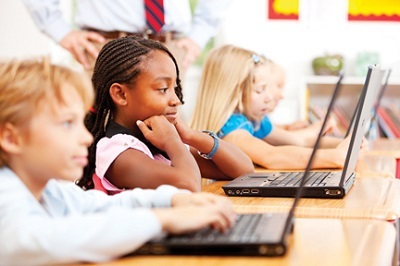 ICT is not seen as a vehicle for a better education: Even though most countries have adopted national policies and programs that aim to integrate new technologies into education in recent years, there are still many that remain behind (or their attempts to do it are not enough), therefore causing the gap to continue to widen. The use of technology is still not part of the educational content of thousands of children and young people around the world. This added to the fact that teachers do not have the tools (pedagogical and technical) to make the contents more attractive and help their students to incorporate the use of ICTs in their learning process. Regarding this, this 10th and 11th July is taking place in China the International Forum on ICT and Education 2030, which is organized by UNESCO. The event highlights that, “We should ensure that the digital revolution is a revolution for sustainable development that bridges divides, strengthens inclusion, and provides opportunities for all with no one left behind (…) We must do everything to harness the power of ICT to reinforce education systems, to bolster knowledge dissemination, to widen information access, to advance quality and effective learning, and to ensure more effective service provision”. No one can deny that ICT and education together are a global trend. The World Bank says in its Building and Sustaining National Educational Technology Agencies: Lessons, Models and Case Studies from Around the World report, “Around the world, the use of the ICTs is often seen to play an increasingly important and strategic role in the way that education services are delivered, and to be more integral to daily teaching and learning processes and activities”. Now, we must encourage advancement on this path and involve everyone (private sector, government, policymakers and planners, families, schools, investigation centers, universities, etc.). The real challenge is to change the direction in which the wheel turns; without economic resources, there is no education, and in order to have a quality education, we need to have access to information that is mostly available through technology. ICT not designed for people with disabilities: It is well known that children and adolescents with disabilities are the most vulnerable group to leave or dropout education, and ICTs can play a fundamental role. Unfortunately, most of the devices and technologies are not designed with concern about disabilities. For example, the majority of websites do not meet the accessibility requirements, and there are few devices designed for those who are deaf, blind, with motor impairment, or intellectual disability. For them, most of the time learning becomes a challenge when the technology is not adapted to their special needs. After seeing this, a question emerges: What is the world doing to include those who are left behind? Nowadays, different efforts are being made to solve these problems. One clear example is the One Laptop Per Child (OLPC) project, supported by companies like Google, AMD, Red Hat, and News Corp, among others. The initiative aims to distribute laptops to children all over the world who, otherwise, cannot access a computer. Now, thanks to that, they can both learn its use and explore the wide world of information available on the Internet. In recent years, similar projects have been launched by several countries, including Uruguay and Argentina. It is important to note that these kinds of programs are accompanied by a government’s initiatives to improve connectivity (new satellites, optical fiber), especially in rural areas. Without this, the efforts will not be worth it. One revolutionary idea is the one that Google has proposed with its project Loon, in which they plan to set up Internet connections in areas not reached today, all this by placing transmitters in high-altitude helium balloons. Another inspiring example is Linux4Africa, a nonprofit organization based in Germany, which collects used computers to restore and install free software licenses to later donate to medical and educational institutions in some African countries. 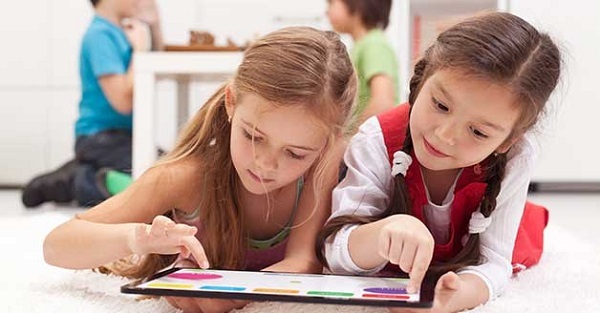 Regarding ICT and inclusion and education, the development of some mobile apps stands out, which are designed to help children and adults with autism in their learning process. Two of them are ABC Autismo (Brazil) and Autism Quick Talk (United Kingdom). For those like us (in Hexacta) that have had the opportunity to work closely with people with intellectual disabilities, we have learned that for them, it is much more intuitive to get into the tech world through touch devices instead of those outlying devices like keyboards or mice. The recent advances in touch technology, on all types of mobile devices, have made it so that more and more people with disabilities (Down syndrome or any sort of autism) can use them effectively and achieve a greater independence for study, work, or leisure time. What do we do in Hexacta to make ICT and inclusion a reality? The IT area gathers all the hardware in disuse and is responsible for restoring computers, monitors, and printers. These machines, which are no longer useful to meet our own needs, are perfectly useful for schools, low-income families, or institutions working in vulnerable and disadvantaged areas. After all the restoration work has been done, Hexacta donates all this equipment. We have joined different initiatives that aim to train people, in vulnerable situations and who cannot easily integrate into society, to enter into the technology and software development world and help them to open doors in the labor market. In these cases, we provide the resources, and our expert engineers, who as volunteers, become teachers in the classes. 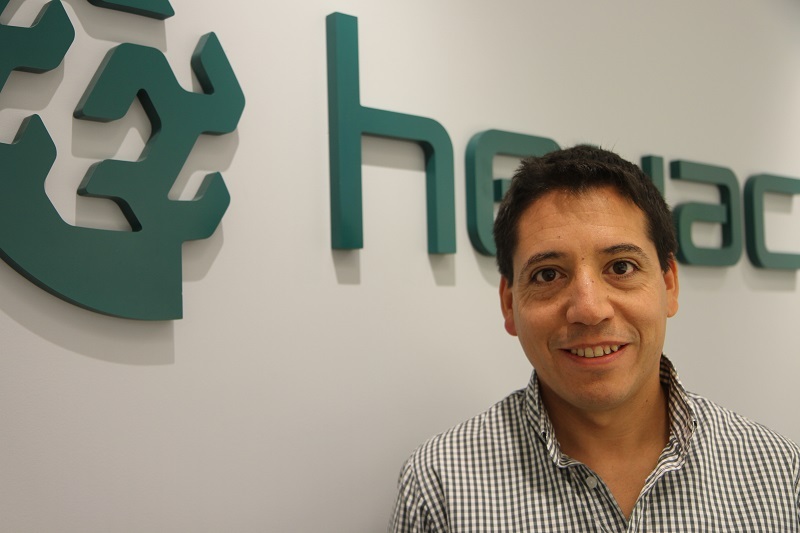 As part of the DANE project (Spa), Hexacta has developed mobile apps that help develop skills in people with disabilities. 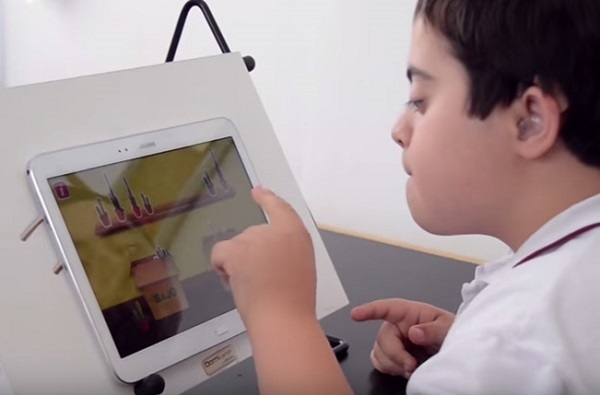 One of those apps is Burbujo that helps kids with motor disabilities to improve their visual attention and coordination. (Content related: Hexacta received a merit award for the DANE project). Also, we have created two apps for people with Aphasia to be able to “use” the speaking ability. Currently, these two apps are in the User Acceptance Testing (UAT) phase, and they will be released soon. Finally, we are initiating the development of a new app that allows people with hearing problems to learn sign language through the association of phrases and signs that were previously recorded in a video. Today’s society demands that all its members understand and properly use technology because all their actions involve, to a greater or lesser extent, some kind of interaction with the web, devices, and technology in general. Therefore, when we talk about ICT and inclusion, we must take into account those who, for different reasons, remain behind. This is crucial if we are looking to close the existing digital gap and therefore minimizing social inequalities. In Hexacta, we are committed to this objective, and we are contributing our bit. What are you doing to include those that are still far away from ICT? Would you like to know more about our Corporate Social Responsibility programs? Questions about our initiatives in software development? Contact us for more information.